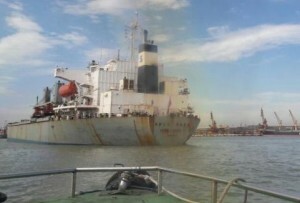 The Indonesian authorities confirm the finding of the first bodies in the waters of the Java Sea. The misfortune is fattened with Indonesia. Just a month after an earthquake and tsunami killed more than 1,500 people on the island of Celebes, a Lion Air plane crashed in the Java Sea with 189 people on board. Hours after the incident, the National Rescue Agency (Basarnas) has published images of several bags with the remains of the first bodies found in the area of the accident, which drives away hopes of finding survivors. A “miracle” could only be expected, a spokesperson for Basarnas, Nugroho Budi Wriyanto, had anticipated hours before, when nobody had been found yet, according to the Jakarta Post. Some remains of the plane, identity documents and driver’s licenses have also been found at the scene of the accident. The rescue teams are also trying to find the black box of the device to help determine the cause of what happened. The flight JT 610 had left at 6.20 in the morning, local time (23.20 GMT on Sunday) with 189 people on board, and its landing at Bangka-Belitung, an enclave with abundant tin mines in the country, was expected only an hour later, at 7.20 am (00.20 GMT). The plane, a Boeing 737 MAX 8 of the Indonesian company Lion Air (the largest private airline in the country), had been released last July, according to the website airfleets.com. The aircraft lost contact with the control tower 13 minutes after taking off in Jakarta, the Indonesian capital, bound for Pangkal Pinang (Bangka Island). Thirteen minutes after the plane took off, the control tower lost contact. 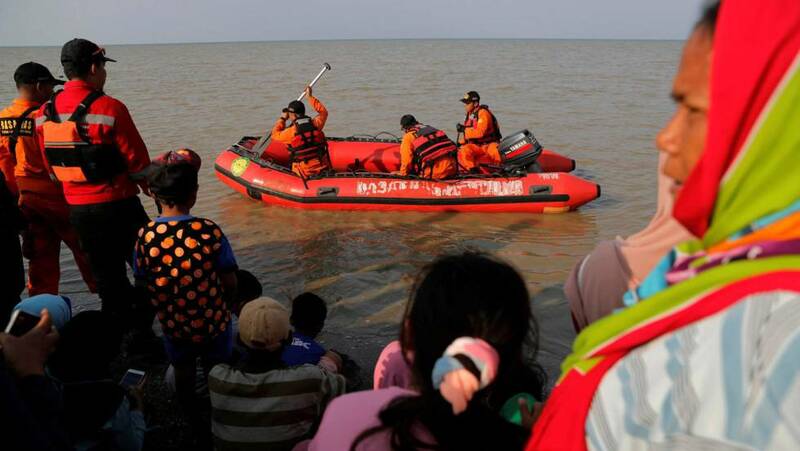 “It has been confirmed that the plane has crashed in waters near Tanjung Kerawang (West Java),” said Erzaldi Rosman, a spokesman for the local government, according to the Indonesian news agency Antara. After taking off in a southwest direction, the plane turned south and then northwest, according to the Flightradar flight tracking portal. Before disappearing from the radar, the plane had requested permission to return to Jakarta due to causes that are unknown at the moment. According to Edward Sirat, CEO of Lion Air, the plane had had a “technical problem” on a previous flight that had been resolved. “This plane had previously flown from Denspasar (Bali) to Cengkareng (Jakarta). There is a record of a technical issue that was resolved following the protocol, “Sirat told the media, without giving further details of the problem, according to Reuters. The plane was carrying 189 people, including 178 adult passengers, plus one child and two babies, six crew members and two pilots, according to the Basarnas, which has activated a rescue operation in the area of the wreck with boats and helicopters involving 250 troops, including divers. The crew of a tugboat who sailed in the Java Sea informed the maritime authorities that they had seen remains of the fuselage of the aircraft some seven miles north of Tanjung Karawang (West Java). The depth of the sea is only 35 meters in the area that the plane has fallen, according to the rescue agency. Indonesian television has shown images of a fuel stain and alleged aircraft debris. It is the first accident of a B-737 MAX, a model that entered service in 2017. Boeing has indicated that it is aware of the accident and that it is “closely monitoring” the situation. “We express our most sincere concern for those on board, and extend our sympathy for their family and loved ones,” the company said in a statement. For its part, Lion Air, whose website has changed its usual red for black after what happened, has indicated that the captain of the JT610, Bhavye Suneja, had more than 6,000 hours of flight, and his co-pilot with more than 5,000. A statement from the company describes the plane as “suitable” and states that it had only been operated by the airline since August 15. For Indonesia, which has been disastrous in terms of natural disasters – with another earthquake on the island of Lombok in August, in addition to the tsunami that struck the Celebes in September – it is a strong setback just months after that the European Union lifted the ban on its local airlines in June after considering that they had improved their security standards, so that they could legally fly in community airspace. The archipelago, the largest on the planet with more than 13,500 islands, has suffered numerous air accidents in the past years. Among them, an Air Asia flight also crashed into the Java Sea at the end of 2014 while covering the route between the city of Surabaya and Singapore, dying its 162 occupants. A year earlier, a Lion Air Boeing 737-800 was floating in the sea after passing the landing strip on the island of Bali, without then perishing any of its 108 occupants.